Have a friend, family, or special someone who would enjoy brunching at Coffylosophy? 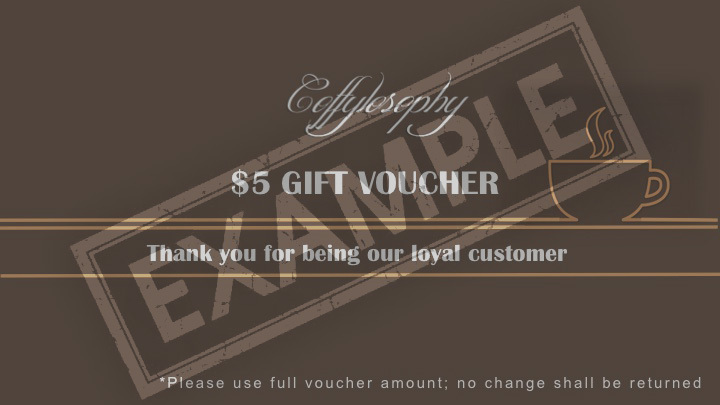 Purchasing COFFYLOSOPHY GIFT CARD is a way of giving your loved ones the opportunity to get something they’ll truly enjoy. Besides, pre-paid electronic Gift Cards, we also have $5 gift vouchers. Buy as many as you like, to make it a perfect gift for all your coffee-lover friends. Also works best as Corporate Incentives for your team. We can also look at customisation of cards for Corporates. Just ask us! We also have Coffee Gift Combos in-store for your loved ones. Check out our Gift Combo options here.